More than anything in life, I knew I was put on this earth to be a mom and I always wanted to be a stay at home mom too. My mom was a SAHM and I just adored all of the time we got to spend with her. But when the time came for me to be a stay at home mom to a toddler, I kind of freaked out a bit. During the fall, I suddenly became very aware that my child was no longer a baby and actually needed a lot of entertaining and structured play. She no longer naps three times a day and doesn't think it is as fun to sit in a bouncy seat and stare at nothing like she used to. "What am I going to do with her all day?" That thought creeped into my mind a lot. I don't want tv to always be the entertainment, I don't want my child to get bored and I want her to learn as much as possible. So I came up with creative ways to play, while still introducing Baby K to new things. Who would have ever thought that colorful pom pom balls would keep my child entertained for a long period of time? 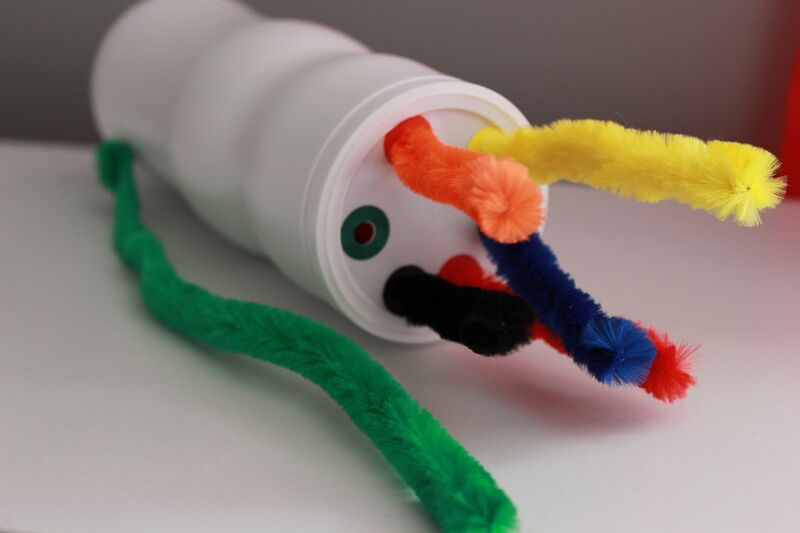 What a genius and cheap toy this is! I took a disposable food container and cut a hole in the lid. 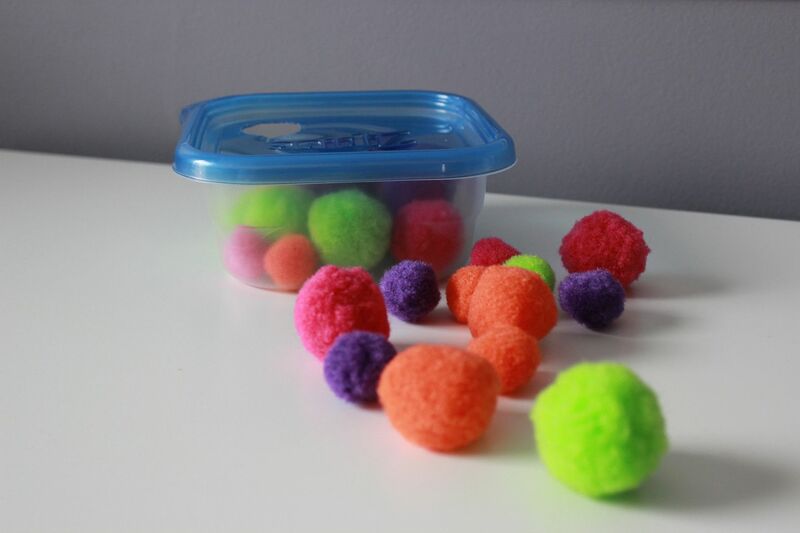 Then I bought some pom pom balls at Dollar General and gave them to Baby K to fill up the container. She loved shoving the balls through the hole and watching the container fill up. Then she would bring the container to me to have me empty it out and start the process all over again. 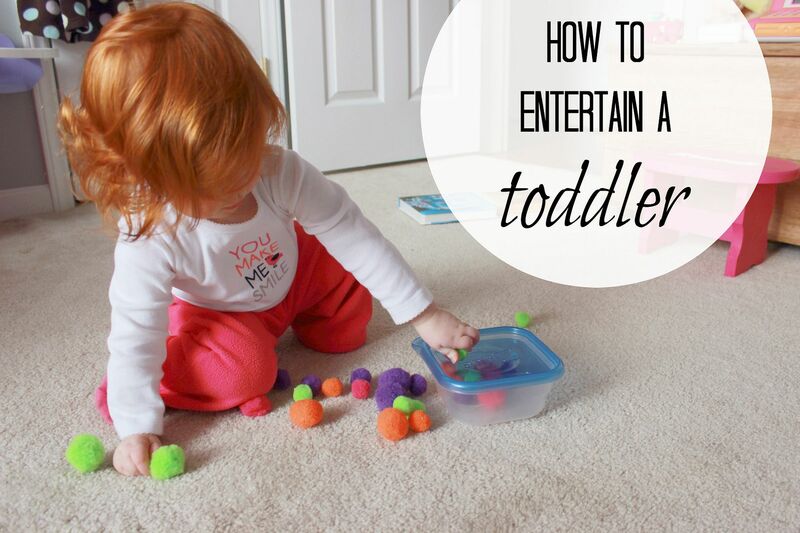 This activity is fun for her (especially when she gets a lot of praise from me) and also works on her fine motor skills. Practically every house should have the supplies needed to create this fun game. I took plastic cups and placed them at the end of the hallway like bowling pins and we rolled a basketball down the hall. LOADS of fun was had by all; Baby K loved to roll the ball or attempt to "throw" it. This is a great activity to keep your kids entertained when it is way too cold to go outside and play at the park. They will get a lot of energy out by running up and down the hallway after the ball. Our local library offers storytime for ages 0-24 months three times a week for FREE. During storytime they read fun books, sing songs, dance and play with scarves. This is a great opportunity to get your toddler out of the house and to have some interaction with other children. After storytime, we always play with the train, blocks and other toys that the library offers. Most libraries offer storytime for free, so check with your local branch. 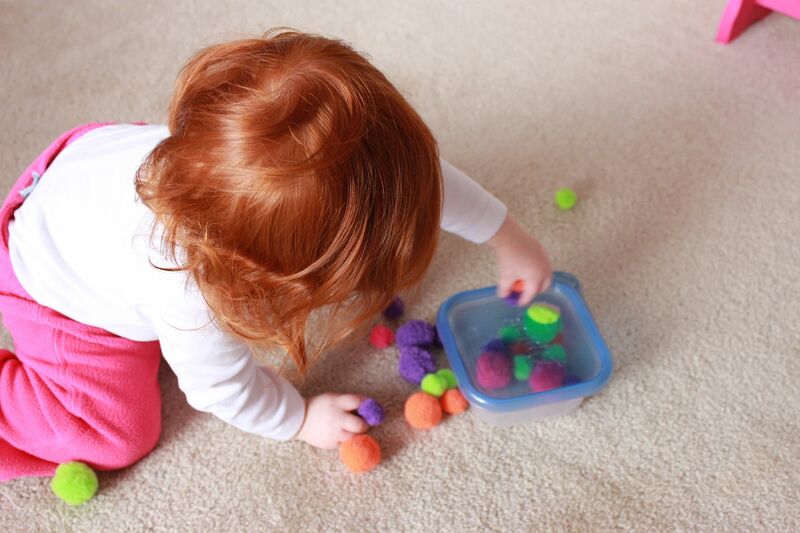 Another activity that works on a toddler's fine motor skills also helps them with colors. I used an old Puff container and punched holes in the lid using a single hole punch. Then I took the reinforcers that you use on 3 ring paper and colored them. And finally I bought some pipe cleaners (a very cheap expense) and I work with Baby K to match the colors and put them in the holes. She loves to pull the pipe cleaners out and try to put them back in and she has really learned her colors because of this toy. Baby K has gone on numerous outings to the grocery store with me, but now that she is so aware of things I turn our grocery visit into a learning opportunity. When we are in the produce section I ask her where an apple is, or a banana or any other fruit/vegetable that she knows. Then as we walk along other aisles, I will point out the lights up above or ask her where a certain color is. For the most part, this works really well and keeps her entertained as I shop. And of course, I love that we made learning fun! If all else fails and you just aren't sure what else to do with your overactive toddler then turn on some tunes and encourage them to dance. Baby K loves to dance and it is so funny to watch her. Our current jam right now is Blank Space by Taylor Swift. We both are so happy after dance time. I gave Baby K a cabinet in our kitchen where I put all of her cups, plates bowls and utensils. I also have some measuring cups and bowls that are non breakable. She loves to pull everything out of the cabinet and I often catch her "pouring" with the cups. Having her own cabinet in the kitchen keeps her entertained while I'm cooking or doing dishes. And she has learned what all of her kitchen items are in the process. Because everyone reads books in a basket. This is a favorite in our house as Baby K adores books. 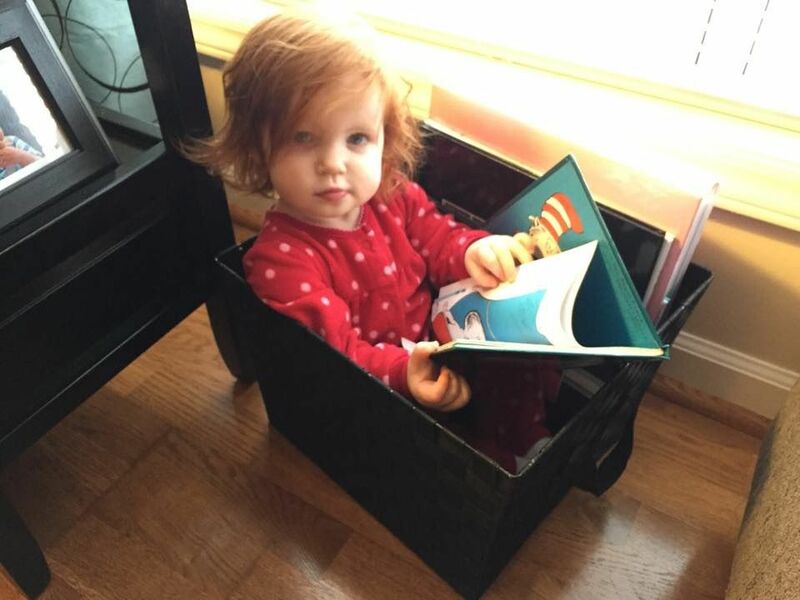 Her favorite book right now is The Napping House, followed closely by The Cat in the Hat. Often if Baby K is playing in her room by herself, I will walk by and catch her "reading" in front of her book shelf. If Baby K watches tv, I always try to encourage extra reading after an episode. Do you have other ways that you keep your children entertained? 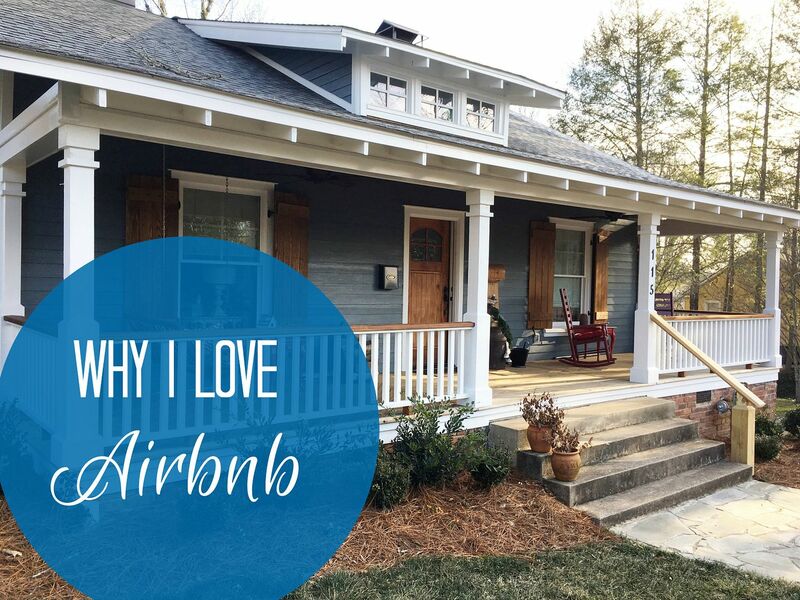 I would love to hear them, leave me a note in the comments below! These are great ideas and a bunch of them I've seen our school's occupational therapist do with the preschoolers! Great suggestions! 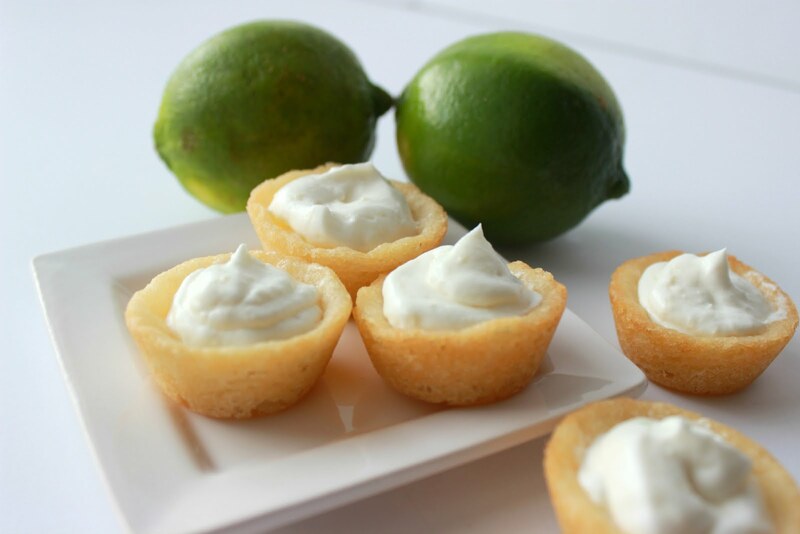 These are so great, lady! You are super creative and I'm sure baby girl loves the fun. I'm a huge fan of hallway bowling!!! You're such a great mom, Lindsay - love these creative activities!